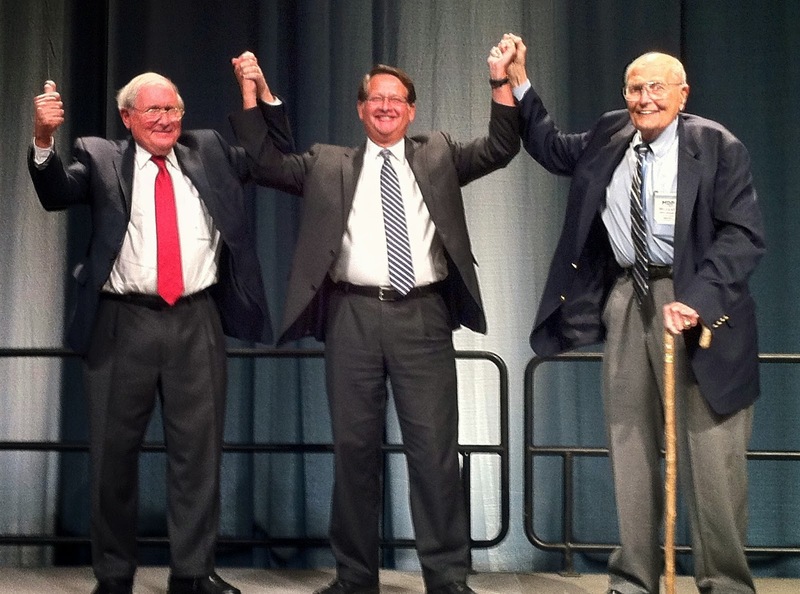 Carl Levin and John Dingell were saluted at the Democratic State Convention on Saturday. They have combined for an amazing 95 years of service in Congress. They both made it clear they very much want to see Levin's seat filled by Congressman Gary Peters "because I'll sleep better at night" said Levin.